Use these tips to keep your business safe. For many business owners, keeping and protecting the business from fire is important. In fact, there is no business out there that is absolutely immune to a fire emergency situation. If you are a business owner set on getting your business prepared and safe from a fire, here is a helpful guide to make the whole process less stressful and a lot easier to understand. Do you have them? How many do you have? Are they all working properly? These are the questions that every business owner must ask themselves in regards to a fire alarm. In fact, fire and smoke alarms are typically the very first line of defense when it comes to a fire emergency situation. As a result, it is important that every business owner understands and knows whether all these alarms are working properly. Getting proper inspections on all fire alarms in your business is a crucial part of fire safety. There is nothing worse than thinking that your business is safe only to find out that your fire alarm is defective or not working properly. There should always be a plan of action for all employees to follow in the event that a fire does break out in your business. Fire extinguishers are another integral part of a fire safety plan. In fact, regularly conducting tests to ensure that they are functioning properly and the pressure is accurate will make a huge difference when a fire emergency strikes. 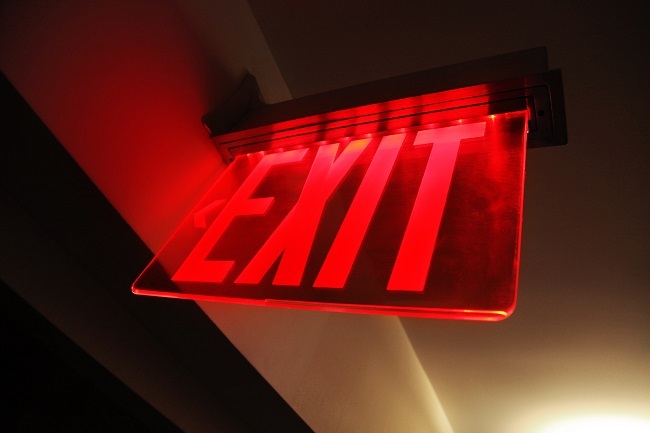 Another key feature of fire safety is having fire emergency exits with proper lighting. In fact, you want all occupants of the business to know where they need to go in the event that a fire breaks out. As a result, installing the proper fire emergency lights will ensure that everyone sees where the exits are so they know where to go in the event of a fire emergency. KEEP YOUR BUSINESS SAFE WITH ANDERSON FIRE PROTECTION, INC. This entry was posted on Wednesday, January 23rd, 2019 at 4:36 pm. Both comments and pings are currently closed.